Estate Strategy Group is a property consultancy based in Suffolk. Their requirement was for a website to showcase their skills and portfolio. 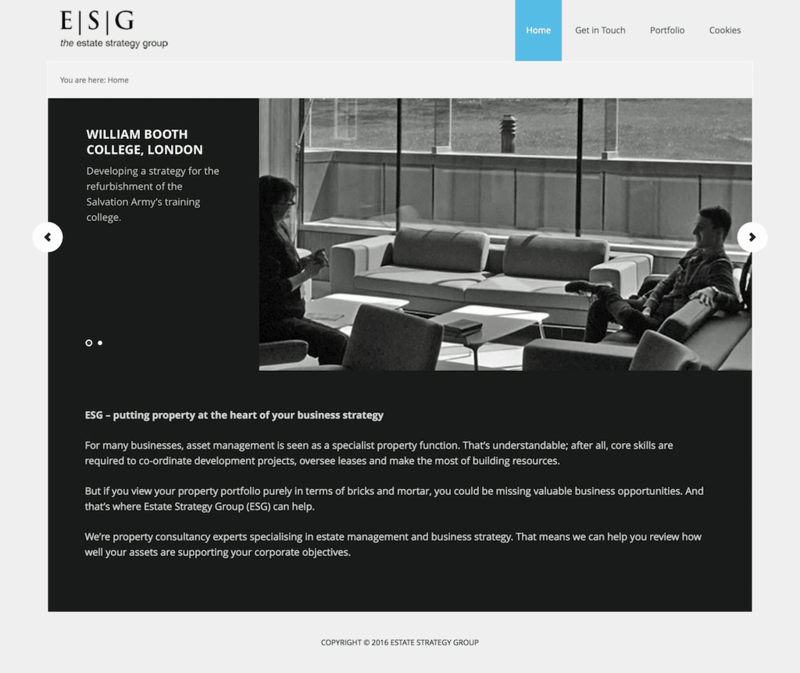 The Estate Strategy Group website was created using the popular WordPress platform, and made use of off-the-peg designs (also known as themes) which were then customised to the client’s requirements. Using off-the-peg themes as a starting point allowed us to quickly determine a suitable direction for the website and bring it to completion within a short period of time. The result was a simple yet professional website, which can be easily updated online with no requirement to know about HTML or FTP.